Low power and battery support enable mobile and handheld applications. H/W support for H.264, MPEG-4, H.263, MPEG-2, RealVideo, WMV9 and other video codecs. 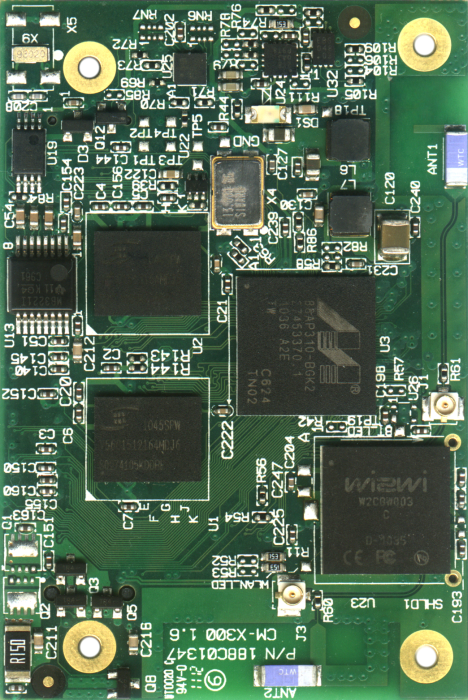 The CM-X300 is a small Computer-on-Module board designed to serve as a building block in embedded applications. The CM-X300 has all the components required to run operating systems such as Linux and Windows CE. Ready packages for these operating systems are available from CompuLab. The small size and low power consumption of the CM-X300 allows its integration into hand-held and mobile devices, while its low price makes it an ideal selection for cost-sensitive applications. The CM-X300 delivers a price / performance ratio significantly better than that of any other platform. The feature set of the CM-X300 module combines a 32-bit CPU, DDR, Flash Disk and vital computing peripherals. For embedded applications, the CM-X300 provides a general purpose local bus, 100Mbit Ethernet, serial ports, I/O lines and other essential functions. 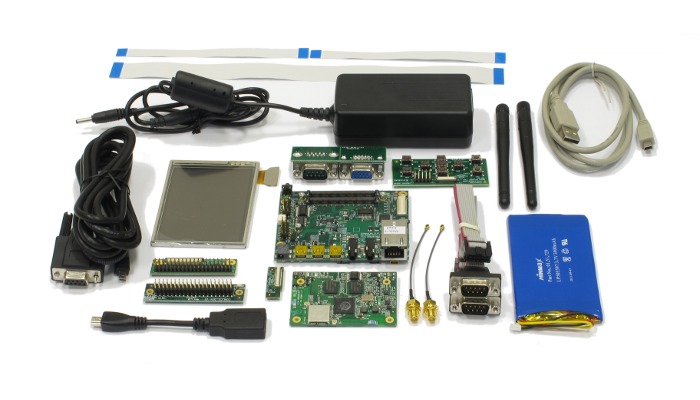 Targeting the handheld application market as well, the module provides integrated WLAN (WiFi) and Bluetooth interfaces to implement industry standard wireless connectivity. Integrated battery charging and management enables easy integration in battery-powered mobile devices. 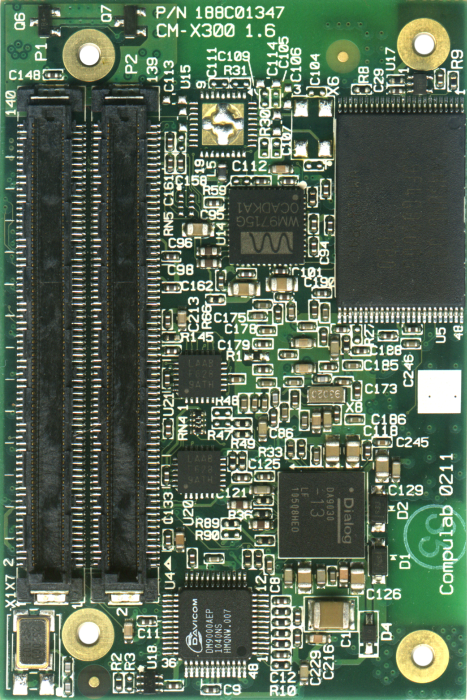 The standardized CAMI ("CompuLab's Aggregated Module Interface") connectors of the CM-X300 module allow interchangeability with other Computer-On-Module's available from CompuLab, enabling the flexibility required in a dynamic market where application requirements can change rapidly. Hardware acceleration Supports up to D1 decode and encode performance for codecs including H.264, MPEG-4, H.263, MPEG-2, RealVideo and Microsoft WMV9. Hardware scaling, rotation and other raster graphics operations. Bluetooth Bluetooth V2.0+EDR system. CSR BlueCore4-ROM chipset, 2.4GHz band, up to 3Mbps. On-board ceramic chip antenna and connector for external antenna.